Bishop Roy B. Lisath, age 75. Sunrise May 24, 1942 in Portsmouth, OH and Sunset May 1, 2018 in Columbus, OH. Bishop Roy. B. Lisath was born on May 24, 1942 to Wilbur and Ruth Lisath in Portsmouth, OH. Affectionately called “fatso” by family and friends. He was the 2nd born into a family of 12 siblings. Roy was a very “innovative” child making homemade bombs and playing Cowboys and Indians usually at the peril of his younger brother Michael. Roy always dreamed of becoming a movie star and left his small hometown at the age of 18 and went to the big apple to make it to the big screen. However, the Lord had other plans for Roy. While in New York City, Roy met Maria Rios and just like a scene from the movie West Side Story, he instantly fell in love. They were married on April 3, 1964 and quickly started a family, and later settled in New Jersey. His road to the pastorate began in 1964, when he became a dedicated member and worker in New Jerusalem Holiness Church, NYC. It was here that he embarked on his faith walk and study of God’s word. He was very active in the church and became especially dedicated to the Sunday School and Youth Ministries. Within 2 years, Brother Roy B. Lisath received his call to the ministry and was elevated to Elder. In 1966, Elder Lisath received yet a higher call of God to the work of the pastorate. Shortly thereafter, Elder Lisath established the first Greater Emmanuel Apostolic Faith Tabernacle in Bronx, NY. The church was greatly blessed with a versatile membership for the work of the ministry. The young missions quickly became one of the most anointed ministries in the Greater Emmanuel AFT body. 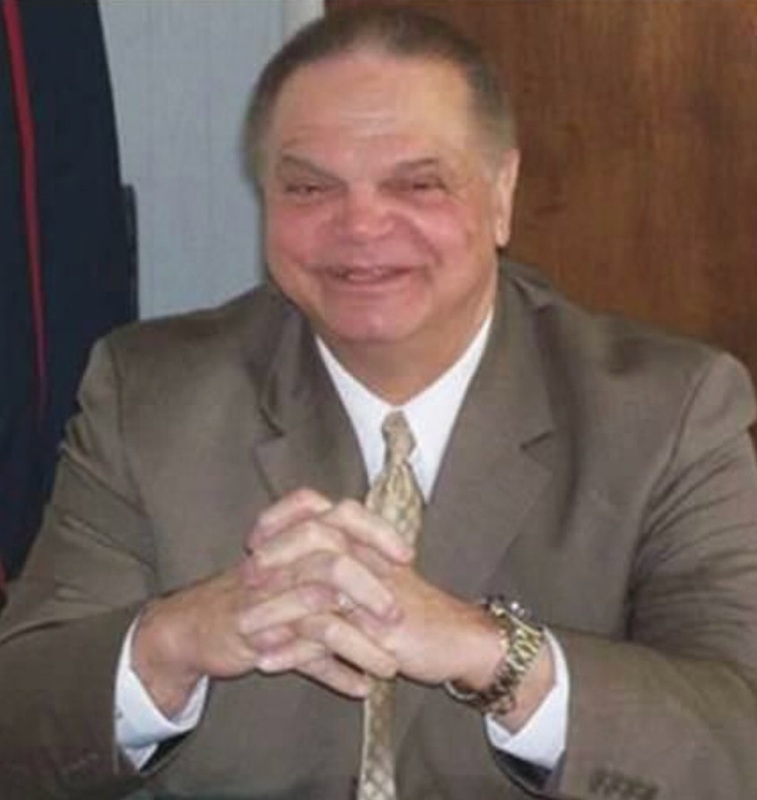 Bishop Roy B. Lisath was a dedicated, pastor, preacher, teacher, and counselor. For over fifty years, Bishop Lisathpersevered in leading God’s people to higher levels in kingdom work. His ministry had been a proving ground and launching pad for many leaders that have gone on to greatness in the service of the Lord. God used this vessel in such a way that we may declare, “from one came many: pastors, teachers, evangelists, counselors, prayer warriors, and helps”. Elder Lisath was appointed to the office of Bishop in 1982 and played a pivotal role in building the Greater Emmanuel Apostolic Faith Tabernacle organization. He served as a Chairman of the Board of Directors, member of the Board of Elders, and National Financial Comptroller. In 1984, he was appointed to serve as Diocese Bishop for the New York, New Jersey and Connecticut Diocese of Greater Emmanuel International Fellowship of Churches and ministries, GEIFCM. Bishop Lisath grew in the ministry under the mentorship of Bishop Q.L. Wilson, the chief Apostle of the GEIFCM. Bishop Lisath’s love for God’s word and his people continued to motivate him to explore many channels of ministry. One of his literary works, “God’s Woman, the power and the authority” is but one example of his God-given multi-faceted vision. Bishop Lisath strived to evangelize the vineyard where God placed him, holistically meeting the needs of those God put in his path. His outreach efforts provided food and clothing for the needy, ministry to the elderly, encouragement for the youth and friendship to many fellow ministries of the gospel. Through faith, he endeavored to be an effective tool in God’s hand so that he could reach the lost for the cause of Christ. It is also a known fact that Roy loved cars! He was able to indulge this passion thru his employment with M&P Foreign Used Cars in Lodi, NJ. It was here that the nickname “RJ”. became popular and everyone knew that RJ was the person to see for a car. Over the 30 years he worked there, he not only sold cars, but fostered long term relationships with his clients who greatly respected his counsel. In 2011, he made his decision to return to Ohio and work with his son in the ministry, where he served faithfully until the Lord saw fit to call him home on May 1, 2018. Roy is preceded in death by parents, younger brothers Michael and Perry Gene, his older brother Bill, and his grandson Milton Tyler Gregory. He leaves to cherish his memory his loving wife of 54 years Maria, siblings Kenneth (Jackie) Lisath, Richard Lisath, Jeffrey (Debra) Lisath, Mark (Denise) Lisath, Rose (Edward)Shouse, RuthannLisath, TrendaLisath, CindyLisath, sister in law Jeanette Rios, children Lisa Lisath, Leah (William) Griggs, Bishop Roy J. ( Stephanie) Lisath, Liana (Ron) Allen, Melissa (Brian) Carbonell, grandchildren Divina (Tim) Thompson, Alexis Wilder, Chelsey Wilder, Breyana Wilder, Latoya (Michael) Binford, Myles Gregory, JeremiahLisath, Noah Lisath, Ashley Allen, Andrew Allen, and Maelin Torres, as well as a host of great grandchildren, nieces, nephews, cousins and friends. Visitation 9:00am and Funeral 10:00am Tuesday May 8, 2018 at Cornerstone Fellowship Church 2704 Eastland Mall. Please accept our family condolences on your loss. of need. Praying for comfort and strength for your family. Condolences to the Lisath family, I’m so sorry for your loss. May god comfort you during this time of grieving. You all our in my prayers. We send sincere condolences to Rose Marie Shouse and the Lisath family in the loss of her beloved brother, Roy. May you take comfort in knowing that we care and pray for you at this difficult time. Offering our heartfelt condolences to the Lisath family on the sad demise of Bishop Roy B. Lisath. We are deeply saddened by the loss that your family have encountered. You all are in our heart and mind.